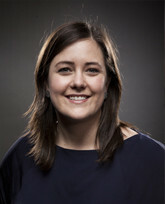 Molly Turner is the Director of Public Policy and Civic Partnerships at Airbnb. As an advocate for the Airbnb community Mollyhandles government affairs for the company, which has a presence in over 35,000 cities worldwide. In this role she manages public-private partnerships with various municipal government agencies, non-profits, and tourism bureaus throughout the world. She also manages research initiatives, such as economic and housing impact studies, and joint studies with academic institutions. Before Airbnb, Molly consulted with governments on sustainable tourism development and conducted research with the UNESCO World Heritage Center. She currently serves on the boards of SPUR and Tumml. Molly holds a Master in Urban Planning from Harvard University and a BA from Dartmouth College.